If you have never homebrewed before, How to Brew is definitely the place to start. Wether you are planning to start with extract brewing or or will jump with in to all-grain, How to Brew will provide all the basics and more. This book is well written, witty, and entertaining, but is still technical and concise. It provides the foundations to build upon from your first batch of homebrew and will continue providing value with each and every beer you brew. How to Brew is not just for beginners, it provides useful information and techniques for immediate and advanced brewers, even if just to refresh your memory or re-learn forgotten techniques. With How to Brew fourth edition being released in 2017, the book has added some fresh content which covers the their top six priorities in more details including: sanitation, fermentation temperature control, yeast management, the boil, good recipes, and water. Not only have they updated and expanded all of the previous chapters, but it includes 5 new chapters, more recipes, updated graphs, charts, visuals, and equations. Each recipe now includes recommended water profiles which is a huge step towards making great beer! Lastly the fourth edition has an entire chapter on water profiles and a much revised chapter on yeast covering everything from yeast pitching to starter yeast growth factors. How to Brew: Everything You Need To Know To Brew Beer Right The First Time fourth edition is a must have for everybody’s homebrew book library. John Palmer was just another dedicated homebrewer who happened to have a great web site devoted to teaching others how to brew. 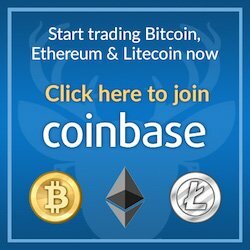 As time went on this site grew and became a valuable and detailed resource for homebrewers of all levels. After many inquiries for a printed version, John published this exhaustive homebrewing tutorial and reference, and he did it from the perspective of a real homebrewer. Fully revised and updated in 2017 to the fourth edition, How to Brew is the definitive guide to making quality beers at home. Whether you want simple, sure-fire instructions for making your first beer, or you’re a seasoned homebrewer working with all-grain batches, this book has something for you. John Palmer adeptly covers the full range of brewing possibilities―accurately, clearly and simply. 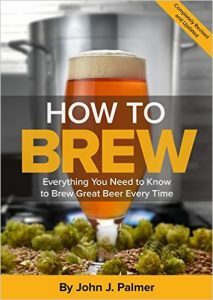 From ingredients and methods to recipes and equipment for brewing beer at home, How to Brew is loaded with valuable information on brewing techniques and recipe formulation.